The most common presentation of tumoral calcinosis is in the form of a slowly growing, firm, calcified, subcutaneous mass near a large joint (especially hip, elbow and shoulder; for unknown reasons, knee is spared). As many as two-thirds of cases have multiple lesions. 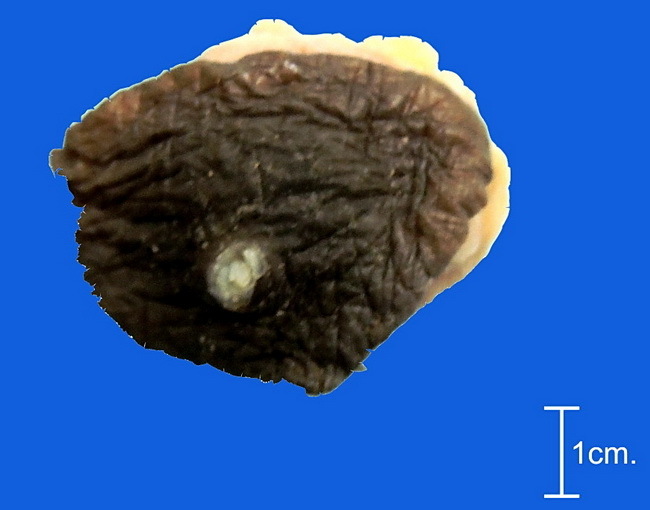 The chalky material is seen being extruded through the skin in this specimen. Contributed by : Dr. Sanjay D. Deshmukh, Department of Pathology, S.K.Navale Medical College, Pune, India.